As the power of data rapidly grows, we are now used to an increasingly tailored customer experience, whether that might be through personalised online shopping recommendations or targeted email campaigns. What is perhaps more surprising to learn is that the theatre industry is moving steadily in the same direction. This growing emphasis on audience data and understanding has been reinforced by the recent announcement that Clive Humby and Edwina Dunn, the co-founders of the data analytics company behind Tesco’s Clubcard scheme, are to invest a seven-figure sum into audience research agency Purple Seven. This move into the cultural sector is in response to what the duo identifies as a big opportunity for theatres to better understand, segment and target their audiences, learning from the innovations that have been made in other sectors. Thanks to developments in digital technology, the audience information potentially available to theatres is now vast. In addition to box office data, which can inform theatres about their patrons’ booking habits, theatrical tastes, pricing preferences and post codes, theatres are now able to gather insight from social media, online questionnaires and the outcomes of digital advertising campaigns, all of which can be broken down through ever more sophisticated analytics programmes such as those offered by Purple Seven. This is not to mention the old-fashioned tactics of focus groups, paper surveys and direct engagement with audiences at the venue. 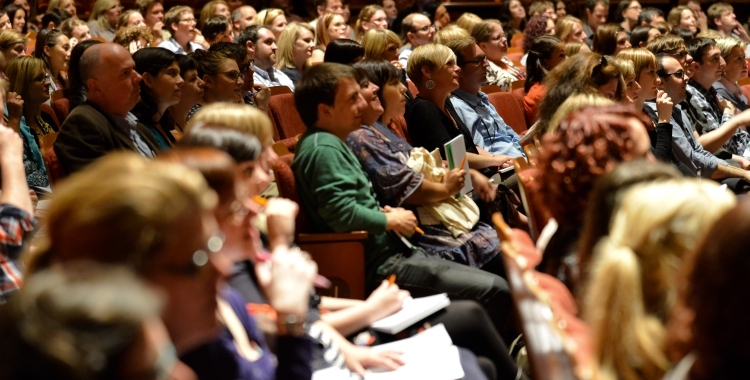 The Arts Marketing Association (AMA), which provides support, training and development for arts marketing professionals, also points to a wide variety of activities that theatre marketers are currently using to glean audience intelligence. These include gathering feedback from existing audiences, implementing and evaluating market research projects, establishing and understanding market segments, and developing and maintaining customer databases. According to AMA’s head of programme Cath Hume, “we have a better understanding than ever of who is engaging with us”. While there is no doubting the quantity of information and analysis now available to theatres, the link between insight and implementation has not always been clear. As the AMA points out, it’s all very well having the data, “but what to do with it is key”. It is for this reason that the Association has launched CultureHive, a new online knowledge hub of best practice resources for arts marketers. The project, funded by Arts Council England’s Audience Focus initiative and mounted in partnership with the Audience Agency, aims to bring together audience insight technologies and strategies for feeding this insight back into the process of reaching potential audiences. It is an approach that seems to be spreading. “Understanding audiences is essentially a foundation for any campaign,” says Huntrods, emphasising the importance of a holistic strategy. He explains that AKA’s process for marketing any show begins with looking at previous research for similar productions, followed by identifying five or six different audience segments that they hope to target. Then, using all the various sources of data available to them, the agency will build up a detailed picture of target audiences, helping them to identify how best to reach these potential punters. Huntrods describes this whole process as “rich and creative”. For those working in the arts, creativity is key, even as audience analysis becomes increasingly scientific. Despite the wealth of data now available at marketers’ fingertips, the theatre industry continues to rely heavily on tried and tested methods, emphasising the importance of direct communication with target audiences. Huntrods explains that focus groups, for instance, remain essential for AKA’s campaigns, and that this feedback often influences the marketing images, copy and pricing strategy for a show. He is also keen to stress the value of firsthand engagement with audiences. Similarly, Purple Seven have found that some of their most successful results have been informed by direct audience feedback. Their survey function, for example, provides instantaneous feedback for theatres straight after a performance, allowing them to make immediate adjustments – to sound, for instance – during the run. The company’s co-founder Stuart Nicolle is clear that the desire for a genuine understanding of audiences lies at the heart of what Purple Seven does, saying that “when we understand that actually we’re trying to build relationships with audiences, then we can start to communicate with them in the right way”. The expertise and investment offered by Humby and Dunn is to be put towards making this understanding even more sophisticated. Whereas historically Purple Seven’s audience analysis has been fairly linear and query-specific, Nicolle explains that the new data modelling they are developing will “make it much more of a story, so you get to understand the customer holistically rather than the different elements that make it up”. Nicolle hopes that this refined data will then allow the company to advise theatres on programming decisions, such as the length of runs and which shows to programme alongside one another. This is an area that Nicolle admits offers potential conflict with the artistic impetus of venues, but he insists that Purple Seven’s work “isn’t about commercialising the arts”. While there may be differing opinions on the specifics of audience analysis, the one point of agreement is that data and research offer a vital opportunity for theatres to assess who is coming through their doors and why. As Nicolle puts it, “the ethos behind it all is to really get a full understanding of who the audience is for each organisation”.